I've been researching all day to come up with these little-known Grammy facts and pop music trivia. Grammy Fact: LMFAO's new single is actually a remake of an old Irving Berlin showtune, "Please Accept My Apologies For Party Rockin'"
Grammy Fact: The term "Grammy" is a nod to the proliferation of cocaine in the music industry. Grammy Fact: Original Lyrics to Adele's hit song: "There's a fire / burning in my yard." Grammy Fact: "Moves Like Jagger" by Maroon 5 only has one chord. Grammy Fact: Tonight's Coldplay performance deliberately scheduled at end of broadcast so that they don't put everybody to sleep. Thank you. Grammy Fact: I'm not familiar with Deadmau5 but I did find one in my basement once. Grammy Fact: An old tradition is that whoever wins "Best New Artist" has to buy all the other artists a round. Grammy Fact: The award for "Best New Artist" has been handed out since 1959. Christina Aguilera has won it three times. Grammy Fact: Diana Krall, the only Canadian performing at this year's awards, was invited by accident. Grammy Fact: To reduce the length of the broadcast, all musical performances have been cut from the show this year. Grammy Fact: It took me more time to write all these facts than it did for Bruno Mars to write his entire album. Grammy Fact: Maroon 5 set to introduce their follow-up single, "Sits Kind Of Awkwardly At Piano Like Tori Amos". Grammy Fact: Carlos Santana still refuses to do a duet with Taylor Swift. 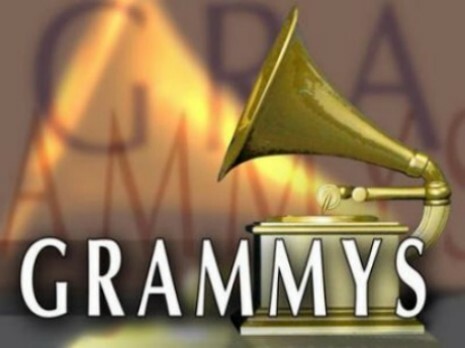 Grammy Fact: The Grammy Awards have been held every year since 1959, except for 2010 during the Bird Flu epidemic. Grammy Fact: Legend has it that after Alanis won in 1996, she threw her award into the Rideau Canal. Grammy Fact: My kids have listened to Katy Perry's "Fireworks" about 850 times in the past year, iTunes reports. Grammy Fact: Hootie and the Blowfish won Best New Artist in 1996. Grammy Fact: Prince and Adele to perform "Some 1 Like U" on tonight's broadcast. Grammy Fact: Janet Jackson is the only artist to receive a "Best Album" award posthumously. Grammy Fact: Robert Goulet, who won Best New Artist in 1963, went on to a 14-year career with the Chicago Blackhawks and Quebec Nordiques. Grammy Fact: The broadcast has had a 10-second delay ever since Raffi's explitive-filled tirade about endangered whales in 1985. Grammy Fact: The Recording Academy blamed the 1989 snub of Technotronic on a rounding error, and fired their accounting firm. Grammy Fact: DJ Jazzy Jeff & The Fresh Prince was originally a prank to get nominated in the "Best Contemporary Jazz Artist" category. Grammy Fact: Due to changing demographics, the Academy has added a "Best Old Artist" category this year. Nominees: Usher, Green Day. Grammy Fact: The Grammy Awards are usually held in Los Angeles, except for in 1989 when they were held in Neil Young's barn. Grammy Fact: Unlike the MTV Music Awards, performers on the Grammy telecast are encouraged to play instruments. Actually only two of these are true. Which ones? Post Script: Incredibly, Grammy Fact #25 made it back to Raffi, who denied it via Twitter: "in a word, no. def not my style"